Shindo Goes To Washington: Just came home. Overall, I had a very good time in Washington DC. I got to see some things, meet Brian and Fredo, and even got caught out in a storm. I saw some things I wanted to see, missed some others, but this trip definitely confirmed the fondness I developed for the city the last time I was there. I had a very safe trip home, despite that airports were on Orange Alert. It was weird to hear a man calmly announce this over the PA system at BWI. Also, security was more stringent than usual. I’ll blog more about it later, but here are some pics. 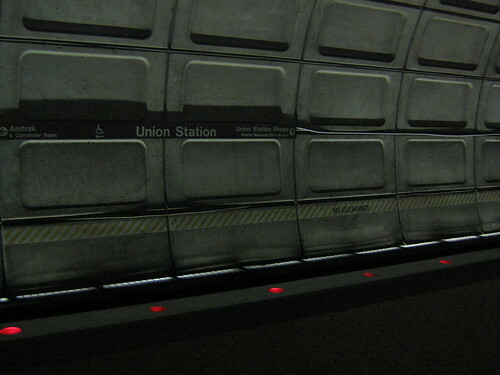 No Washington DC-related post would be complete without a photo of the Metro. It was easy to ride as ever, even easier as I’ve done this before. 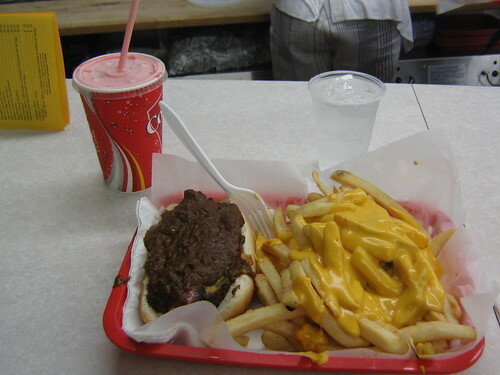 The Half Smoke, made famous by Bill Cosby, and Cheese Fries from Ben’s Chili Bowl. It was good! You should see the pic where the wax paper in this basket is almost cleaned out. Like many cities, Washington can’t escape major venues with corporate names attached. In Southern California, we have the Staples Center and Petco Park to name a few. 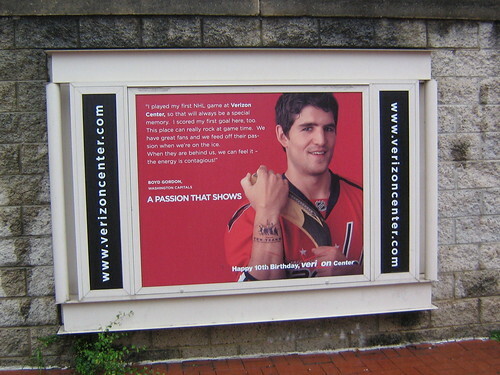 For Washington, there is the lovely Verizon Center in Chinatown. This handsome man, as part of the Washington Capitals, is a regular. 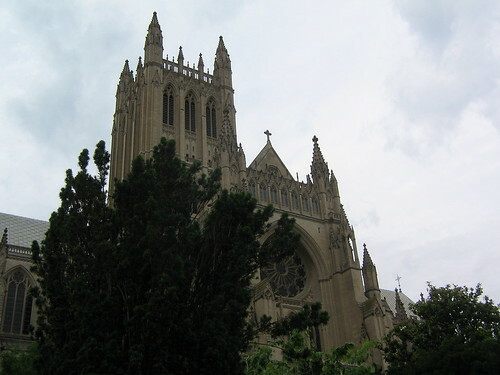 The last time, I was a good Episcopalian and went inside the the National Cathedral. This time, I looked for the Darth Vader gargoyle (which I couldn’t find), and then visited the Bishop’s Garden.